Speeds and feeds are based off of stub, standard or neck relieved lengths only. Flood coolant recommended. Check back often as we're continually adding new product speeds and feeds calculations. *The RPM and Chip Load that automatically populates in this calculator are the factory suggested parameters for running the desired tool. 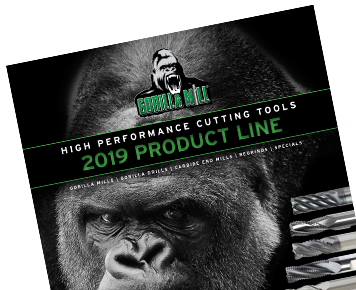 Altering the Chip Load or RPM settings in any way without prior written approval from an authorized agent of CGC/Gorilla Mill will void any guarantee or warranty nor will CGC/Gorilla Mill or its agents be liable for any consequential damages due to said alteration.